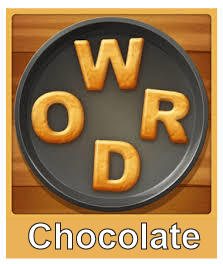 Word Cookies Chocolate Answers and Cheats FAST and EASY! Word Cookies Chocolate Answers Page! Welcome to the Word Cookies Commis Chef Chocolate Answers page! Here you can find all the answers, solutions, and cheats for those tough levels. Scroll down below to find your solution. Level 16 has the wrong words, it should have words for MEMORY! Thank you. It has been fixed. Level 6 is missing a three letter word.